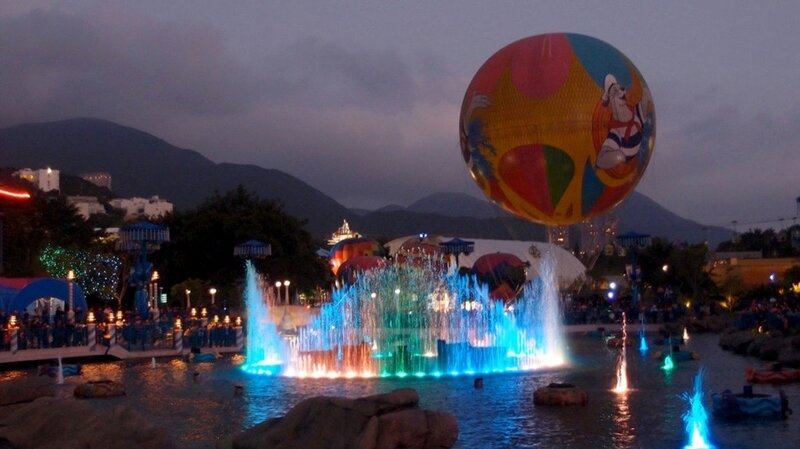 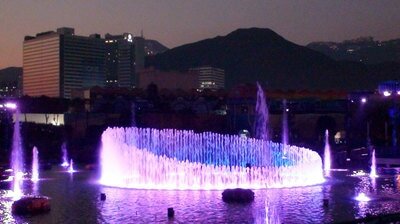 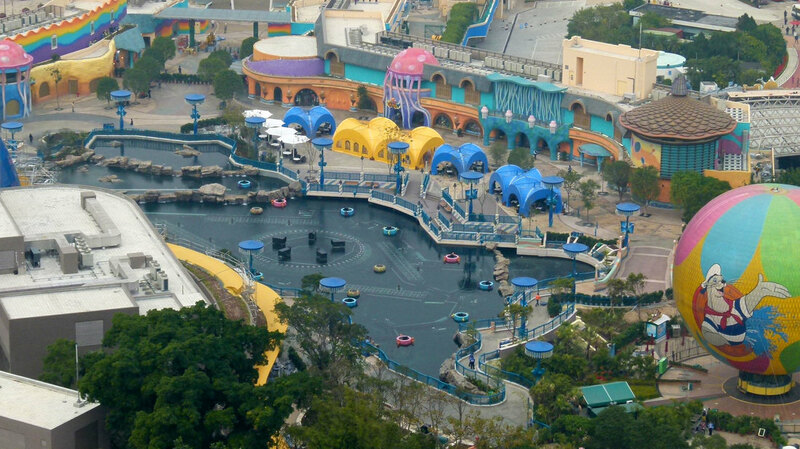 A permanent installation in the water-themed park in HK. 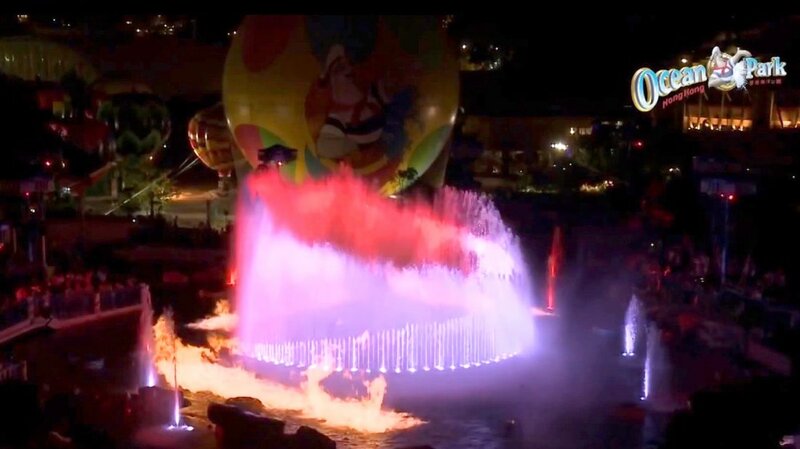 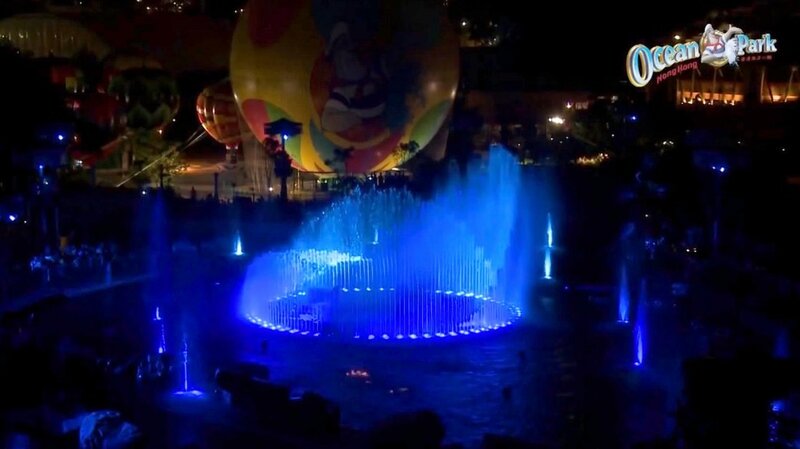 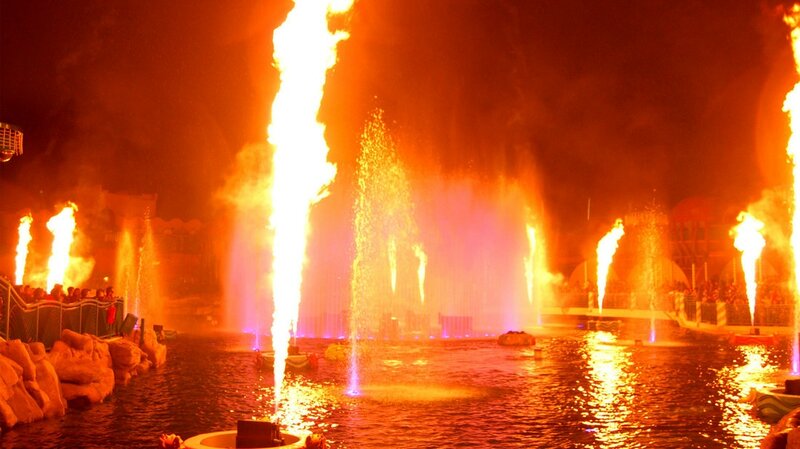 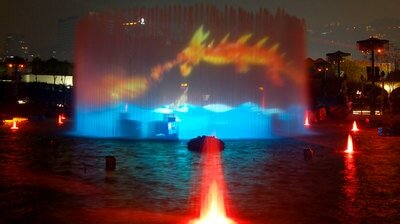 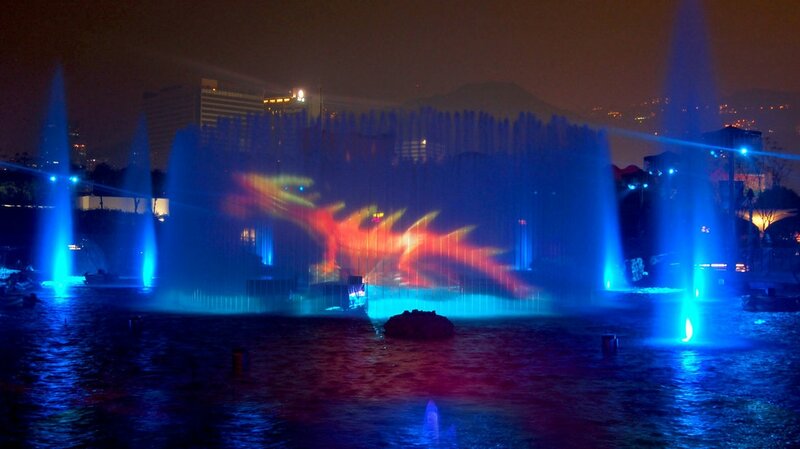 The nightly show features a themed lake with 360* water fountain projection with flame, water and lighting effects. 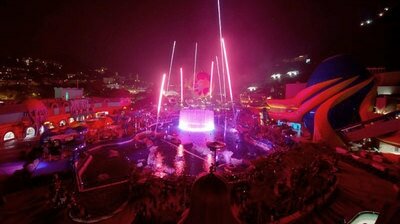 All the water effects have underwater LED lights, and include the ring of screen jets, other individual jets and water canons. Situated around the lake are towers with clusters of moving lights. 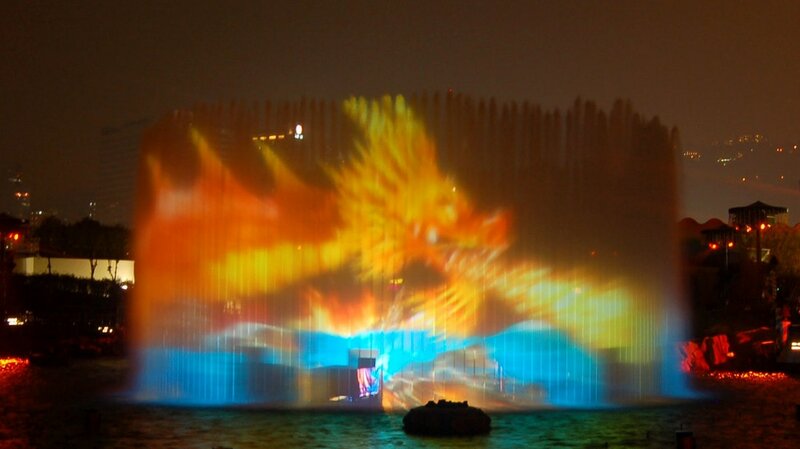 Theo choreographed all of these elements, integrating tightly with the video segments on the water screen.